Even if you're the most spontaneous adventurer, it's still good to study up on a little bit about Lachapelle-Auzac before you take off. Find it on your map, make a list of the attractions on offer and let the good times roll! 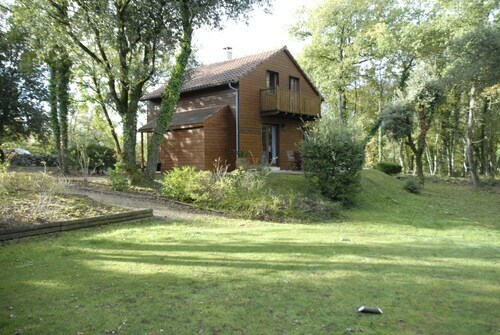 You can find it 13 miles (21 kilometers) from Sarlat-la-Caneda and 15 miles (24 kilometers) away from Gourdon. At the most recent count, the population of this area of Lot was 900. Lachapelle-Auzac package deals can be secured via Travelocity, and just wait until you see your savings. Just pick and choose from upwards of 400 airline partner companies and 665,000 lodgings. Our Customer 1st Guarantee gives you 24/7 personal assistance on everything from airfares and accommodations to activities and rental cars. If you somehow see a better deal somewhere else, we will return the difference^. We'll never make you pay a nasty fee if you alter your reservations. And so long as you get in fast, most accommodations don't charge fees either^. 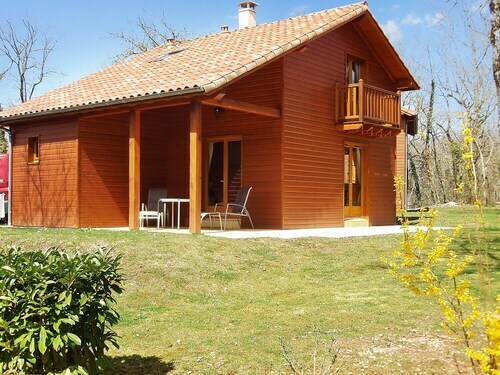 When should you plan a place to stay in Lachapelle-Auzac? Sooner rather than later! Get in early to nab the best of the 6 lodgings on offer through Travelocity. If you're on the hunt for quality accommodations in Lachapelle-Auzac, we recommend the Souillac Golf & Country Club and Hotel Le Quercy. Reserve a room and then start organizing all your exciting getaway experiences. Where do you fly into for Lachapelle-Auzac? The thrill of exploring an entirely new place never gets old. Once you've landed at Brive - Vallee de la Dordogne Airport (BVE), the main hubs of Lachapelle-Auzac will be just 15 miles (24 kilometers) to the south from here. Can I rent a car in Lachapelle-Auzac? Reserve a rental car via Travelocity and discover Lachapelle-Auzac on your own time. Concerned about cab fares? Pick up a vehicle straight from the Brive - Vallee de la Dordogne Airport area. Let the friendly faces at Avis give you a hand. Enjoy superior leisure and sports facilities along with outstanding service at Souillac Golf and Country Club. This welcoming club is the place to go for some sophisticated R&R. Want more ideas? If you’re looking for a little spiritual enlightenment, drop by Abbey Sainte-Marie. Who knows, you may even discover the answers to some of life's most mystifying questions! But there's more. Think of yourself as an art enthusiast? Take the time to appreciate some intriguing works and find out the story behind them at Musee de l'Automate. While you're in Lachapelle-Auzac, why don't you stop by some nearby destinations? Boisseuil, just 55 miles (89 kilometers) away, allows access to Limoges Cathedral, a much-loved attraction. Spend a day or two here! The Musee National Adrien Dubouche is another sight that's well worth visiting. Located in a rural location, this family-friendly apartment building is within 6 mi (10 km) of Louis Roque Distillery, Quercyland, and Musee de l'Automate. Abbey Sainte-Marie and Souillac Library are also within 6 mi (10 km). Located in the mountains, this family-friendly vacation home is within 6 mi (10 km) of Louis Roque Distillery, Quercyland, and Musee de l'Automate. Abbey Sainte-Marie and Souillac Library are also within 6 mi (10 km). This family-friendly Lachapelle-Auzac campground is located on the waterfront, 2.9 mi (4.7 km) from Louis Roque Distillery, and within 6 mi (10 km) of Quercyland and Musee de l'Automate. Abbey Sainte-Marie and Souillac Library are also within 6 mi (10 km). Located on a river, this family-friendly vacation home is within 6 mi (10 km) of Louis Roque Distillery, Musee de l'Automate, and Souillac Library. Quercyland and Abbey Sainte-Marie are also within 9 mi (15 km). Situated in the mountains, this historic vacation home is within 6 mi (10 km) of Louis Roque Distillery, Souillac Library, and Musee de l'Automate. Abbey Sainte-Marie and Quercyland are also within 9 mi (15 km). 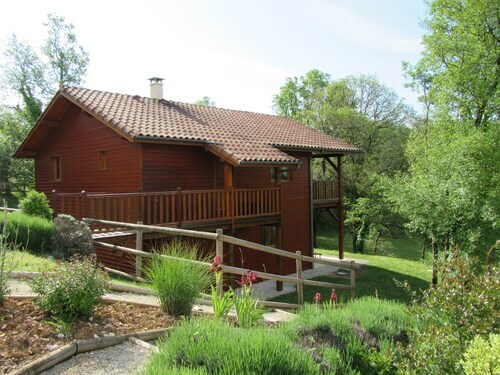 Situated in Lachapelle-Auzac, this golf vacation home is within 6 mi (10 km) of Louis Roque Distillery, Souillac Library, and Musee de l'Automate. Abbey Sainte-Marie and Quercyland are also within 6 mi (10 km). Situated in the mountains, this historic property is within 3 mi (5 km) of Louis Roque Distillery, Souillac Library, and Musee de l'Automate. Abbey Sainte-Marie and Quercyland are also within 3 mi (5 km).